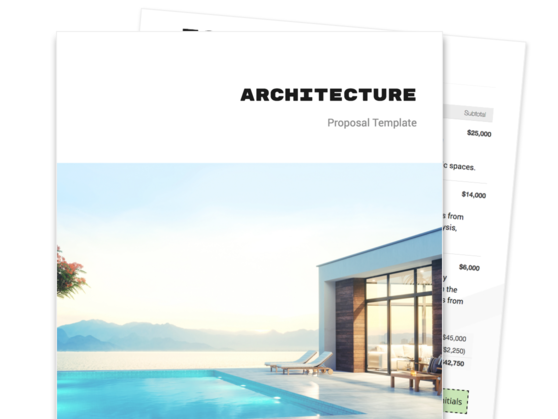 If you're tired of writing proposals for your architecture firm, try our customizable and powerful architecture proposal template. 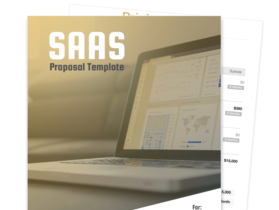 Present your firm's services with confidence using this configurable architecture template and proposal framework. 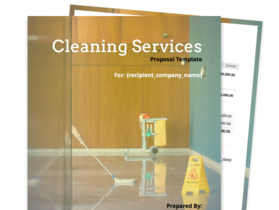 Present your architectural services with confidence using a professional proposal template that you can customize as needed. Effectively introduce your architectural firm by presenting a portfolio of your past successful projects. Outline the different phases of your proposed architectural project, and highlight the deliverables that you plan to accomplish. Provide your prospective clients a transparent and easy-to-understand breakdown of costs. Through this introductory section of your proposal, you are given an opportunity to provide a brief background about your architectural firm, giving the client a preliminary look into your experience and expertise. Here, you can list your company’s history, the awards you’ve won, and a summary of your successful projects. You can also list down the background and experience of your firm’s senior leadership. From the pre-design, schematic design, and design development phases to the construction documents preparation, construction procurement, and construction observance phases, this section of the proposal outlines the process that you follow for each architectural project that you take on. This section outlines the different deliverables that you aim to achieve for your architectural project. 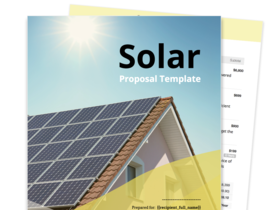 The deliverables can fall under distinct stages, including planning, design rendering, primary plan development, delivery of plans, review and redlining, and final revision and acceptance. Launching architectural projects can be very complex. Hence, your proposal needs a clear and concise project cost estimate section that will allow your clients to view their budget requirements with ease and transparency. It’s true whether the service cost being estimated is for the conceptual design services, the planning and development services, the structural engineering services or something else. This section lets you and your client finalize your agreement regarding the deliverable schedule and pricing.